On 27 February Laurence Humphries announced his resignation from Socialist Fight Group (SFG) and that he had joined the Austrian-based Revolutionary Communist Internationalist Tendency (RCIT). The comrade had been disaffected from some time because we had failed to recruit and because his own political analyses on the history of Trotskyism and Gerry Healy’s entry work in the Labour party was rejected by the group as a whole. He had failed over the past year to get a supporter to form a tendency or faction despite strong efforts, which were constantly reported to us. The fact that he has now joined a group who have even more differences with him on these two points makes his resignation appear as an unprincipled manoeuvre to gain a leadership position as the RCIT’s sole representatives in Britain with no one to oppose him. 1. It is the duty of Marxists to make clear which class character political forces have. The leadership of the LFI has NOT made clear which class character the liquidationist, petty bourgeois split has. In our reply we pointed out that the SFG/LCFI had differences with ICL and the IG/LFI on Libya and major differences with the CPGB (ML), who were uncritical (at least publicly) supporters of Gaddafi in Libya, and now of Assad in Syria and Vladimir Putin and the right nationalist Donbass leadership. By autumn 2012 it was obvious to the most naive political person that things had gone badly wrong not only for the ‘revolution’ bit but more especially for the ‘democratic’ bit; women were now caged, bought and sold and have lost all the rights they had under Gaddafi (and their lives if they did not like that). Sharia law was now advancing menacing in all sectors with developing tribal warfare. The slaughter of minorities since then, particularly the appalling public video they have shown of the beheading of 21 poor labourers because they were Coptic Christians signals the further advance of the “democratic revolution” we must suppose. Of course all sides are pro-imperialist ultimately, they were just fighting for who would be the local strongman to represent the interests of imperialism. 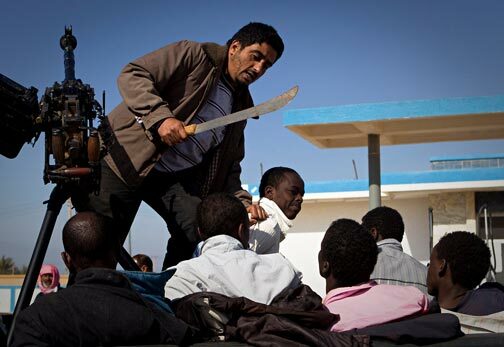 The great “Democratic Revolution” in Libya so uncritically supported by the RCIT and Workers Power turned out to be not so democratic for slaughtered black workers and for women’s rights, to put it mlldly! Thus it is clear that at least until now the Western imperialists have not armed the rebels and the reason they have not armed the rebels is because they do not trust them as many of them are Islamists. The problem the imperialists have in Syria is the relative strength of the Islamists in the mass movement. Yossi, you could not make a worse political analysis of the situation in Syria if you deliberately tried, we would suggest. The document seeks to be ‘balanced’ and shows that the comrade had seriously studied the period. 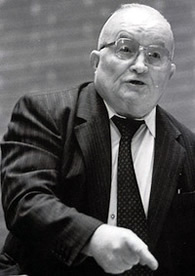 Nevertheless he managed to come to a conclusion that rejected both the position of Workers Power, and therefore the RCIT, who continue to defend the positions of Workers Power up to when they were expelled from the Fifth International in mid-2011, and of his own group, the SFG/LCFI, by asserting that the continuity of Trotskyism went with Healy, Lambert and Cannon and the International Committee of the Fourth International (ICFI) in 1953. We can only assume he does not understand what ‘critical support’ means and that ‘a refusal to assess their own role in the post war degeneration’ designated the ICFI as a centrist current. The issue of critical support arises because we are obliged to support a left current against a right current because of the content of their criticisms and because their followers really believed they were conducting a fight for Trotskyism. Just as you would give critical support to a left trade union bureaucrat against a right trade union bureaucrat in an election, ‘critical’ really is the operative word. You cannot correct errors if you do not critically reassess them. IDIOT No 9 On the Continuity of Trotskyism, which was approved at the founding conference and by the LCFI, sets out our position on these questions. The RCIT, with Workers Power, their political co-thinkers up to 2011, take no sides in that 1953 split. That is a Shachtmanite position, neither Washington nor Moscow etc. That semi-state capitalism position results in them simply counter-posing their own group to the centrists and results in no active intervention whatsoever in the crisis of post war Trotskyism apart a purely propagandist one. Thus defence of the ICFI in 1953 as the continuity of Trotskyism leads Laurence to defend the expulsion of the Oxford group around Alan Thornett and John Lister in 1974, who later founded the Workers Socialist League. He does acknowledge the undemocratic nature of the split although he has yet to apologise to Alan Thornett for the ‘liberating’ of internal documents from his flat on Healy’s instructions and his continued amusement at the phrase used by Healy to justify all the beatings and other thuggery employed against the group and other before and later, “we are a hard group and we visit people.” He objected to my pointing out this history, seeking to deny and justify it at the same time. But he agreed with Healy’s central charge against the group that they were liquidating into the Labour party because they correctly pointed out that WRP catastrophism (the country always faced the imminent threat of police-military dictatorship) was simply nonsense to avoid the real task of formulating transitional demands and the application of the transitional method within the trade unions and the Labour party to place demands on leaders and set the base against them in struggle. “Thus Bevan’s speech to the 1952 Labour Party conference was hailed by Socialist Outlook with the headline ‘Bevan Gives the Lead that Workers Want’. Bevan’s election to the NEC on a record vote, and the replacement of right wingers Dalton and Morrison by the Bevanites Harold Wilson and Richard Crossman, the front page editorial stated, was ‘the clearest indication’ that the rank and file wanted socialism. This whole section shows Healy as an unprincipled opportunist maneuverer in the Labour party, by any criterion, far worse than anything he had wrongly charged the Thornett group with. And yet Laurence seems blissfully unaware of this. We can only assume that this is how he intends to operate within the Labour party now if he sees nothing wrong with all that back then. Now to the actual resignation letter. In it Laurence adopts all the positions of the RCIT in opposition to positions he had advocated himself barely a month ago. He has dome this to make himself acceptable to the RCIT – the position of dual defeatism on the Ukraine, that the Donbass and its leadership are simply proxy armies for Putin and the claim that Russia and China are Imperialist powers of equal danger to humanity as Anglo American imperialism. The RCIT/Fifth International said Russia was a “Moribund Workers State” under Yeltsin when it was the most obviously pro-Western and privatising all state assets to the corrupt oligarchs (as also in Ukraine), to the delight of Western imperialism. Then, when Putin came to power in 2000 and began to adopt measure in defence of Russian capitalism against the USA suddenly they decided that it was a capitalist and what’s more an imperialist nation. So by a strange coincidence we are asked to believe now that it was political confusion that led them to adopt the ridiculous ‘Moribund Workers State’ theory and so defend the set-up in the former USSR that had pleased Western Imperialism so much. And then when Western imperialism was so disgusted with Putin because he would not do as US imperialism told him suddenly political clarity was achieved and Russia was a nasty imperialist power, equally as bad of the USA, or worse maybe with all its homophobia etc. And all this had nothing to do with abject capitulation to the ‘public opinion’ of the petty bourgeois milieu in which they operated. And perish the thought that the ridiculous “Moribund Workers State” theory was a consequence of them declaring that they stood “arm-in-arm with Boris Yeltsin” outside the White House during the Yanayev coup in August 1991. Boris Yeltsin atop a tank outside the white house on 19 August 1991, Workers Power and therefore the RCIT stood “arm-in-arm with Boris Yeltsin” they said; “arm-in-arm” with a counter-revolution in capitulation to the petty-bourgeois milieu in which they operate, in fact. Whilst this might seem better than the outright national chauvinist positions taken by the likes of Socialist Resistance (USFI), the Alliance for Workers Liberty and the majority leadership of the Labour Representation Committee nonetheless it is profoundly in error. In particular we reject the proposition that the fighters of the Donbass have become simply a proxy army for Putin (just as we rejected this in Libya in 2011 and in Syria since then). The only proxy armies in these three conflicts are US/EU proxy armies; the Benghazi rebels, the Free Syrian Army and the jihadists of the Al-Nusra Front and the ISIS and the Kiev regime and its fascist infested army. Libya, Syria and the Donbass fought or are fighting genuine wars of national liberation against imperialist aggression despite the fact that they are led by reactionary bourgeois nationalist politicians. They have a right to get arms and assistance from anyone who will supply it, including Russia in the case of Syria and the Donbass. And then go on to take an openly Shachtmanite position in its list of demands at the end of their article, The Minsk Agreement and the Civil War in the Ukraine; “Down with the reactionary, pro-Western imperialist regime in Kiev! Down with the Putin regime and its puppets in the Donbass republics!” and “Neither Brussels nor Moscow! For an independent workers’ republic!” they say and draw the same conclusions in almost the same words as Max Shachtman did against Trotsky and Trotskyism in 1939 and subsequently. This is profoundly incorrect, it will not assist the working class in its struggles against US imperialist aggression. It will only spread defeatism and confusion. If taken seriously that position would have dire consequences for the working class of the Donbass and the revolutionary socialists in the region fighting for the leadership of the working class. It would demoralise them and undermine the position of a working class growing in confidence and class consciousness following their great victory at Debaltseve. Laurence’s final complaint is that the Liga Comunista and the Coletivo Lenin (whom he does not mention) advocated a vote for Dilma Rousseff, the Workers Party leader, against Aécio Neves in the Presidential election and the RCIT man in Brazil wanted us to cast a null vote. Considering that the masses would have faced a direct agent of US imperialism if Neves had won as opposed to a victory for Dilma which maintained at least a measure of national independence and defence of workers’ rights (as in the Yeltsin, Putin dichotomy above) it is criminally irresponsible not to take the principled anti-imperialist united front stance that they did. The fact that Laurence has now gone along with all this nonsense shows him as a profound opportunist who is unable to fight for his own position openly. He desires to be the ‘leader’ of the RCIT group in Britain. As comrades can see from the above he cannot even lead himself, so unsure is he about what his own political line if from one day to the next. 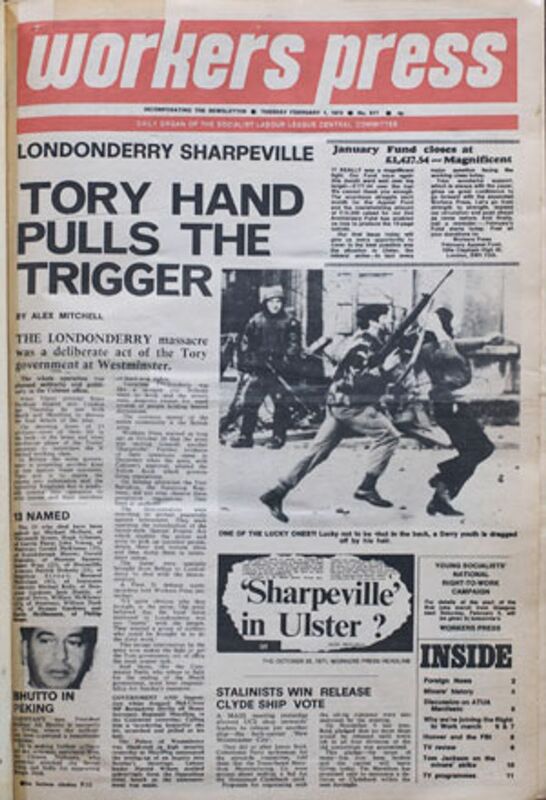 Still ‘Londonderry’ even in 1971 and Gerry Healy was calling for the dismantling of the barricades in the no-go areas to “unite Catholic and Protestant workers” – the British army duly obliged! It is noteworthy that we have lost two comrades from the old WRP that we won mainly on rank and file work in the trade unions. Unfortunately we lost both over the same question; imperialism. Ray Rising adopted to Bruce Wallace’s reactionary position on the Ukraine. Wallace has retained the unregenerated syndicalist and pro-imperialist positions of Ted Grant on all the foreign wars of UK imperialism from the Malvinas to Ireland to Libya, Syria and Ukraine. Similarly Laurence Humphries has indicated that he is now comfortable with the RCIT group that has such an appalling line on imperialism, the latest example of which is their pro-imperialism on the Ukraine. It was noteworthy that both comrades have never broken from the old Healyite national chauvinism position on Ireland. Both were unenthusiastic, to say the least, about the work of the Irish Republican Poisoners Support Group. Support for the anti-imperialist struggles of Irish Republicans, no matter what our political differences may be with them, is obligatory for all English socialists. And not just support, but active participation in solidarity work, especially for the POWs today. “Both were unenthusiastic, to say the least, about the work of the Irish Republican Poisoners Support Group.” – I think I would be too!